Hello everyone! 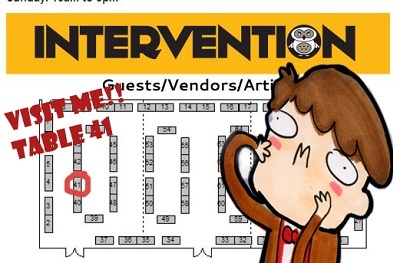 This weekend I’ll be at Interventioncon, in Rockville MD! Come visit me in the Artist Alley at table 41, or at any of the panels I will be doing. One of them will be on how to make a custom vinyl owl Doctor Whooo toy!